In Dubai’s property market, one trend has been consistent over the last few years: the significant mismatch between actual deliveries and annual supply forecasts. Realisation rates (the ratio of delivered units to announced units) have hovered at 40-50 per cent over the last five to seven years. The source of this lag is multifold. Given that many different elements need to align to meet expected deadlines, delay in deliveries cannot always be foreseen by even the most conscientious developers. Factors such as supplier/vendor deliveries, sources of funding, legal processes and compliances, among a host of other factors, need to work seamlessly to assure timely delivery of a project. Furthermore, as Dubai has a very high number of international investor nationalities, investor demand is considerably affected by exogenous market forces from beyond the region. This impact on investor demand has been distinctively seen in many instances such as volatility of oil prices over 2014-16, affecting the overall economic sentiment, strengthening dollar to which the dirham is pegged and the political developments in traditional source markets resulting in currency fluctuations (the fall of the Russian ruble, Brexit decision affecting the British pound and demonetisation in India). Due to the potential oversupply, buyers may delay entering the market, expecting further opportunities to purchase at a lower price. Similarly, developers may commence launch of their new developments at a later date in order to achieve their desired returns. This trend can have a visible impact on market forces. For example, due to the potential oversupply, buyers may delay entering the market, expecting further opportunities to purchase at a lower price. Similarly, developers may commence launch of their new developments at a later date in order to achieve their desired returns. On the flip side, although this discrepancy has fuelled oversupply concerns, lag in deliveries has in fact aided market conditions by relatively curtailing the decline in sales and rental rates. Looking further at the demand drivers, Dubai has been witnessing robust population growth. According to the Dubai Statistics Centre, the population has been increasing by over 250,000 people every year over the last two years. Even assuming that a majority of this demographic is in the low to mid-income segment and just half of this pool is looking at housing, over 29,000 units are required each year, with a household size of 4.3 people per unit. However, the number of deliveries hasn’t exceeded 18,000-21,000 each year over the last five years, indicating an underlying demand. That said, supply (unit type) has been adjusting to demand with more stock being delivered in the low to mid-market segment. For example, over 85 per cent of the completed deliveries year to date are in the outer areas such as Dubailand, Jumeirah Village Circle, Dubai Silicon Oasis, Al Furjan etc., while just 15 per cent were delivered in the central areas of Dubai Marina, Palm Jumeirah and Jumeirah Lakes Towers. Moreover, over 49 per cent of the year-to-date transactions were concluded below the Dh1-million mark. 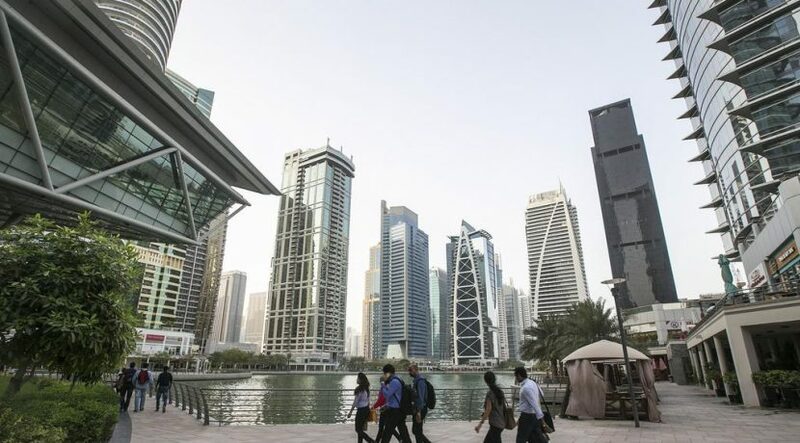 We have also seen a slew of regulations being announced and implemented by the Dubai Land Department over the past few years, boosting investor confidence. In the short term, this may result in a conservative outlook towards property development as developers will have to ensure healthy financials prior to undertaking development. However, in the long term, these steps are expected to improve market competitiveness and fundamentals, further cementing Dubai’s position as a preferred global real estate investment destination.